Recently there has been a lot of debate over the wooden bullets that the Allied troops found being used against the by the German troops. Some ideas are that they were used to cause greater loads on the medical services, though the wooden splinters, or being used as blanks to fire grenades through to evil Nazi devices. In actual practice they were simply issued to troops for training purposes, just as the British Army used Blank Firing Attachments to allow for the gas to reload the rifle without a real bullet being used, so the Germans used the wooden bullets as a source of gas to enable them to automatically reload their machine guns. Of course, at the time, they were around in plentiful supply in Normandy and less so elsewhere in the ETOA because for 4 years the German static infantry Divisions still needed to train, whereas after D-Day the time available was never near the front lines. This then begs the question as to why they were issued during the battle of Normandy. One German soldier asked this very question of his Quartermaster when being issued them prior to DDay (remember that at that time all German Quartermasters had been fighting on the Russian front). " When you have to bug out (leave the defensive position) load the wooden bullets and fire the at the Allied soldiers. They will take immediate cover and then follow their battle training trying to locate you. However, those 30 seconds or so will allow you to leave the area". They had realised that green troops would immediately take cover when firing started, even if it was not effective enemy fire.. in other words not actually aimed at the troops taking cover. As experience levels rose so troops realised the difference between fire on the battlefield and fire aimed at them specifically, as well as the different sounds make by supersonic copper jacketed rounds versus the subsonic training rounds. These lower speeds meant that quite a few soldiers had their lives saved by being shot by wooden rounds that were either non-fatal or stopped by the paybooks or other military equipment (and often put down to the hand of God saving someone). On the left a clip of the rounds for the Garand 98K whilst above are a standard copper round (lower round) and a wooden bullet above for comparison. The Pointe du Hoc is world famous for the Rangers attacking up the cliffs on the 6th June. Einsenhower himself stressed how important the site was to Lt Col Rudder of the US Rangers in the months leading up to D-Day. However, whilst the allies knew that the site was unoccupied, Rudder still wanted the limelight so never told his men. One officer, Maj Lytle who tried to tell them more was blackballed and moved out of the unit. The Germans had moved out the Army guns (actually in storage in the fields behind so there were no tracks to be seen by 1st Sgt Lomell D Company) and the new casemates were going to house Navy guns and as you can see from the empty casemates, could never actually fire onto Omaha (the two built ones at least!). Blocking the road they had to cross to destroy the guns was never a formal objective, rather a mere stepping stone on the list of D-Day objectives that all the men had been rehearsing since February 1944. 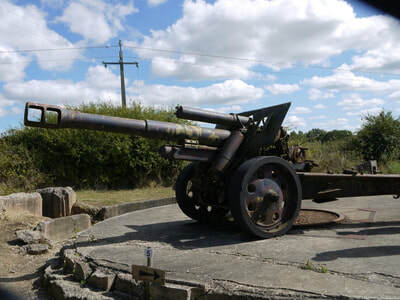 Maisy battery at Grandcamp-Maisy was almost the last D-Day objective on list of objectives for the US Rangers. The very last objective was the DDay Phase line. Maisy is unique along the landing coastline in that the battery is built on a reverse slope for Army guns and without the French resistance having workers inside the workforce building the battery. 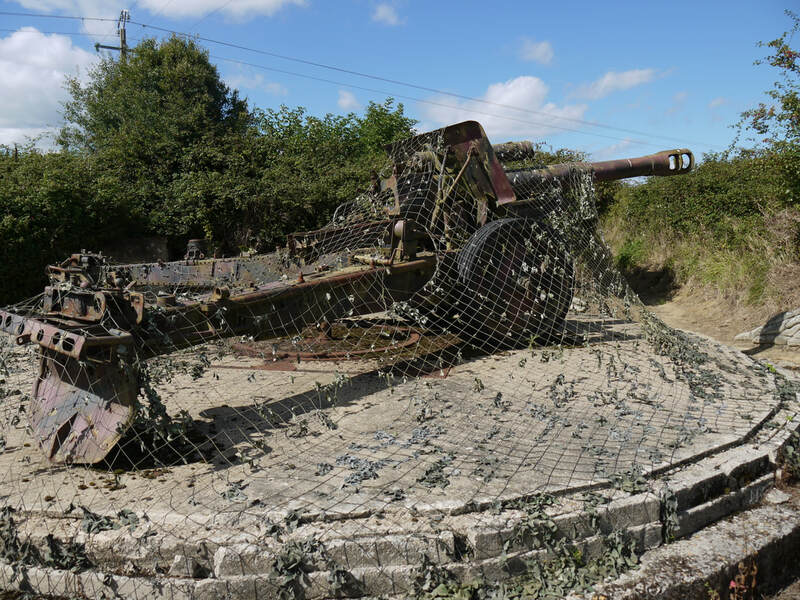 The site has been partially unearthed and yet is already clear that the site was the largest battery in Lower Normandy with around 500 soldiers (around three times the size of a normal battery), a regional headquarters as well as having a regional flak control bunker (no other battery site has one). The Rangers attacking Pointe du Hoc formally had six objectives, but the Rangers themselves were only briefed about the first objective. They therefore were unaware of the other tasks they were supposed to undertake. 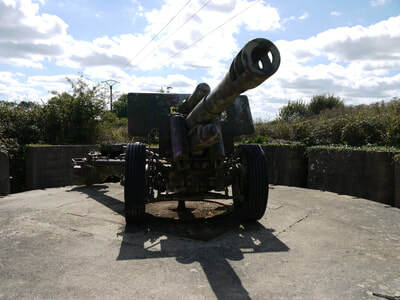 This led to Maisy battery continuing to fire onto Utah and Omaha beaches unabated for three days before the site was finally attacked and neutralised. Questions therefore revolve around why this happened, why the site was deliberately buried after it's capture and even why Rudder himself was back in the UK within a few days! Whilst the history books go into great detail about the undoubted heroism of the Rangers, what has for many years been ignored is why an aggressive unit should have just stayed for a few days at a single point despite having plenty of opportunity to advance inland (in the same manner all other units did). Moreover, fuller calculations of the number of troops involved put the figure at over 340 and not 223 often cited. Indeed two of these other people were British soldiers (Private Colin Blackmore and Acting Sgt Joseph Good RASC) and given Rudder actually endorsed their being awarded the Military Medal (second highest British gallantry award) it is surprising that the fuller number of troops involved isnt reflected in the numbers. Part of that answer lies in the unfortunate incident with George Klein (the authority on what happened at the Pointe du Hoc for many commentators). In 2017, he admitted he had never actually been with the Rangers after a training accident earlier in the year so all his explanations of what happened has become authoritative folklore.... with the unfortunate consequence that millions of people have been led astray by this (just think of every generation of American student taught WW2 history). Of course, many years after the events makes it seem difficult to justify, however for a fuller explanation of these events readers should consult the 1160 pages of Gary Sterne's "D-Day Cover Up At Pointe du Hoc" one of three books now covering this topic.